Excited with the purchase of a new big clunky 4WD, I decided to put it through its paces with a trip out into what the irreverent might term “the wop-wops”. 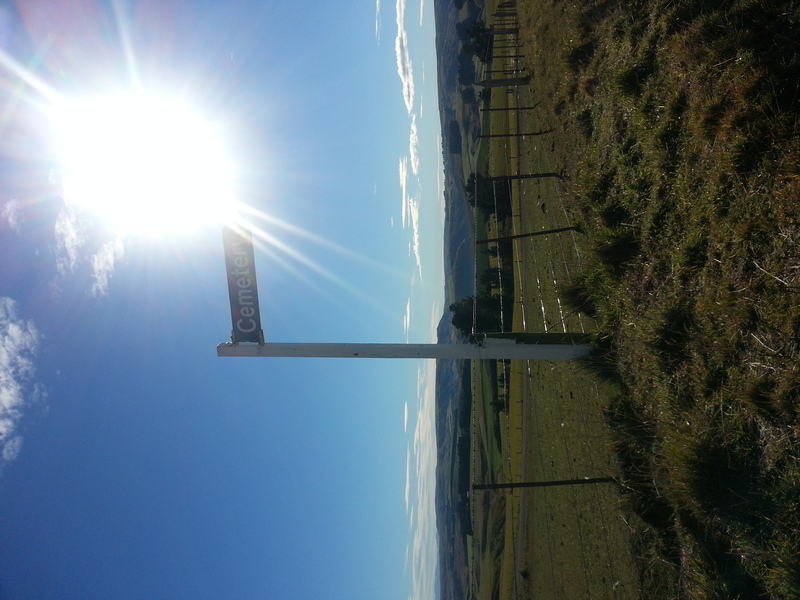 My goal was to head up into the hills above the Taieri Plain and explore the historic gold mining and farming settlement of Hindon. 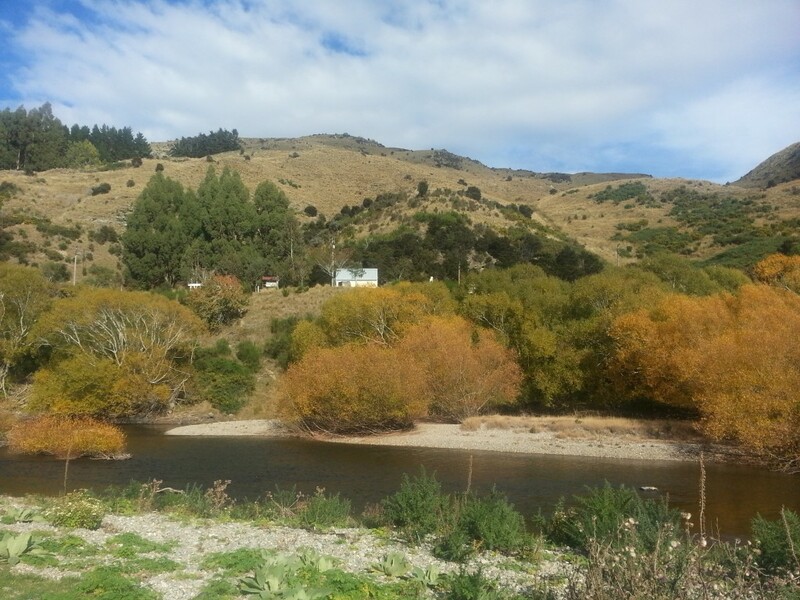 There’s an isolated cemetery to find, a historic bridge and train station, and to top it all off I can catch a big trout in an little-known stretch of the Taieri River. What more could I ask of a Saturday adventure? So I loaded up the Canyonero, picked up my brave adventuring partner, and headed south out of town. 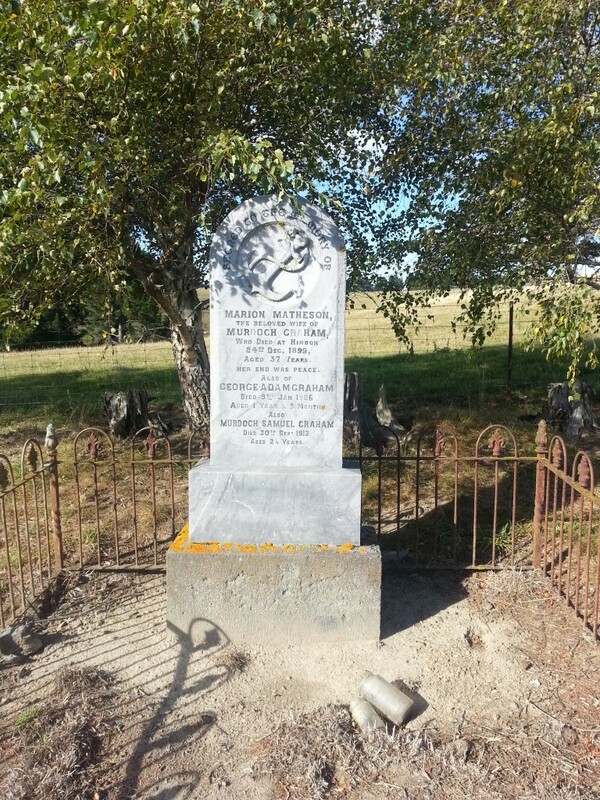 We passed through Mosgiel and continued all the way to the Outram bridge across the Taieri, where we took a right turn on to George King Memorial Dr. 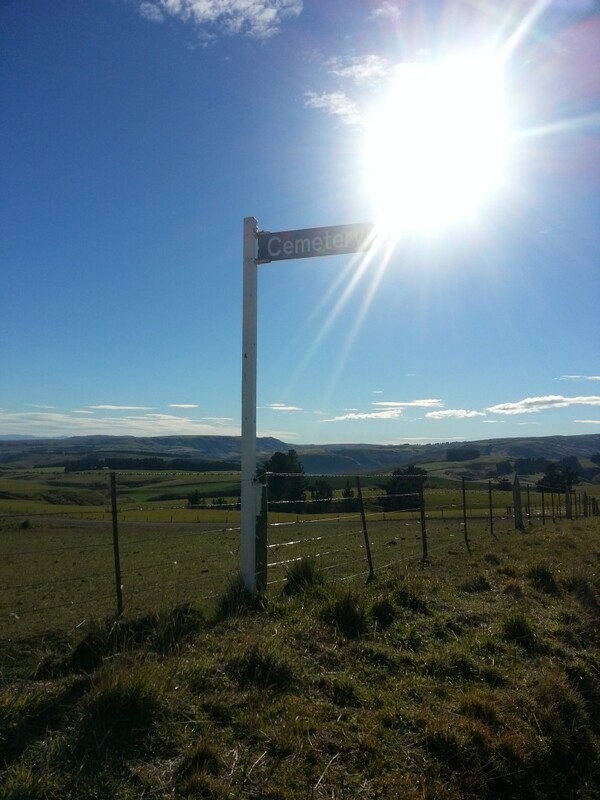 This narrow twisting road took us first through bush and then up into the hill paddocks. There’s a scary bit as we wind down into a deep gully to cross over Lee Stream and then head back up into the hills. Not far beyond we turned on to Hindon Rd and said goodbye to the paved road. As I cautiously explored the limits of my vehicle, we kept a look out for any sign of the cemetery. We pulled up and stretched our rattled bodies. Access to this cemetery is fairly unusual. 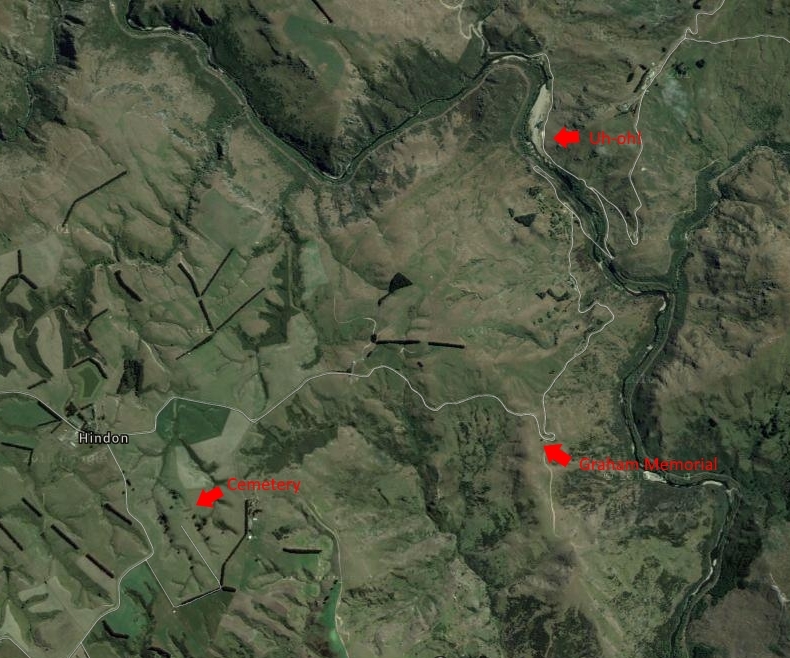 You have to cross some farmland, but take a roundabout route along an unformed public road that loops around a gully. 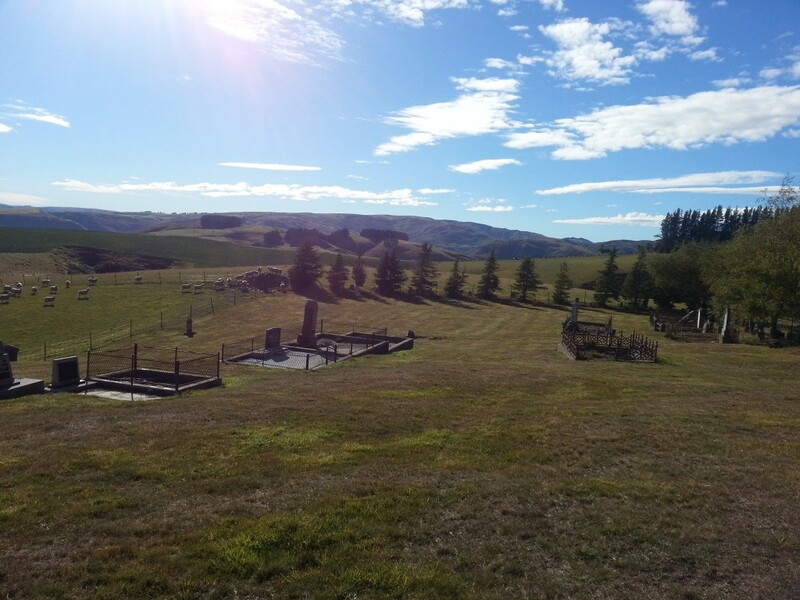 At the end of our loop-de-loop, we finally spotted the small cemetery, nestled in the midst of the green rolling hills and surrounded by sheep. Burial plots were scattered sparingly around the little field. One of the headstones here belongs to Murdoch Graham, a sheep farmer of Scottish descent, who settled at Hindon in 1897. He was known as a candid and thrifty man who tragically died in a car accident while returning home from a show in Outram in 1926. 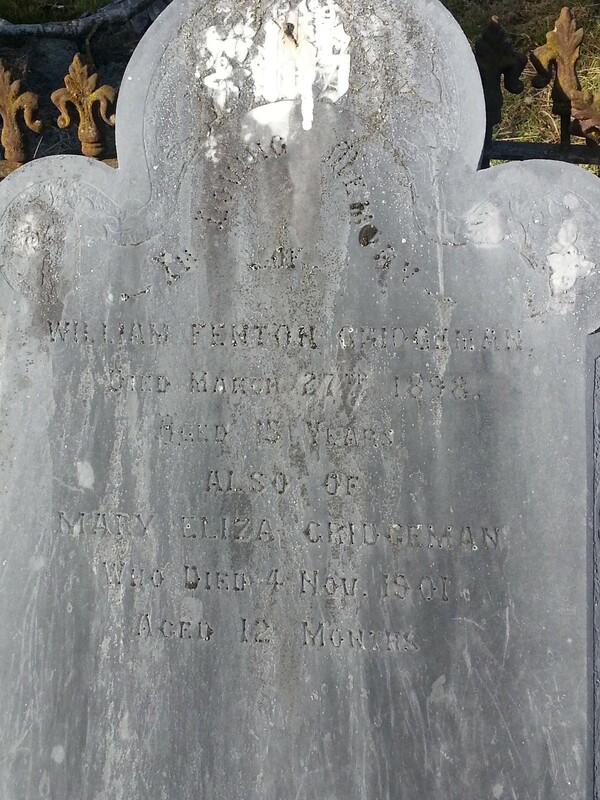 Facing his headstone is that of his first wife Marion Matheson who died at age 37 after a long and painful illness. In the same plot are two of Murdoch’s children with his second wife Elizabeth: George Adam who died at one year and five months of age after falling into a tub of boiling water left in his parents’ kitchen, and Murdoch Samuel who died aged two and a half years. Another nearby headstone, almost illegible with age, belongs to two children of the Gridgeman family. William Fenton Gridgeman, son of Mary Ann and James Gridgeman, died in 1898 aged only 15 of “inflammation caused by eating unripe fruit”. This seems to have been a commonly cited cause of death in the late 19th century, but I’m not sure what modern doctors would make of it. Though apparently not buried in this plot, one of his older sisters, Sarah Elizabeth Ann, met her end in a disturbingly similar way to the Graham child above. The three year old grabbed a teapot full of boiling water and attempted to drink from it, resulting in fatal injuries to her throat. The other resident in this plot is the niece of the two above, daughter of Mary Ann’s first son George Joseph and his wife Rosia. Although George and all of his children used the last name Gridgeman, their legal last name was actually Mary Ann’s maiden name of Fenton as George was born out of wedlock. We paid our respects to these and the other residents of this tiny out-of-the-way place, and left them alone amongst the sheep and green fields once more. 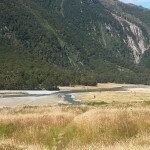 We continued down the gravel road and turned right at the intersection, entering Ardachy Station and heading downhill into the Taieri Gorge. 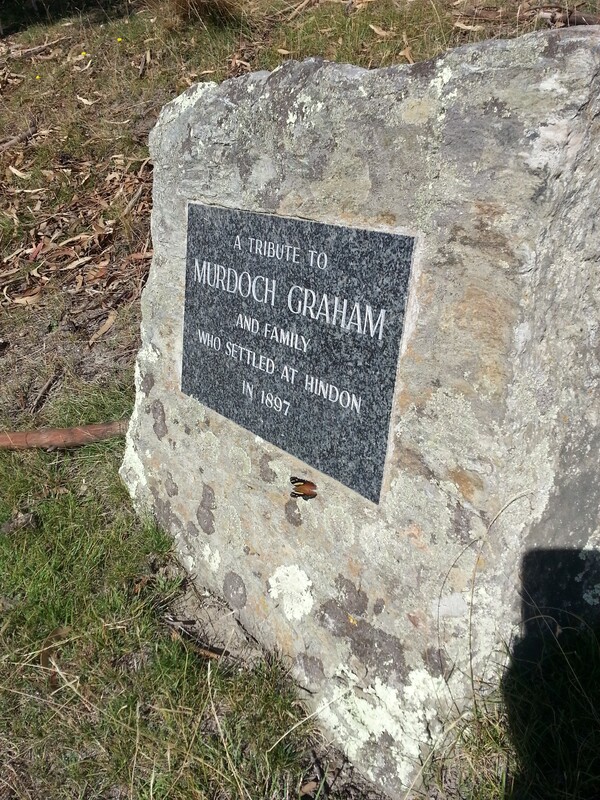 On the slope above a particularly gnarly bend we found the monument that commemorates Murdoch Graham and family. 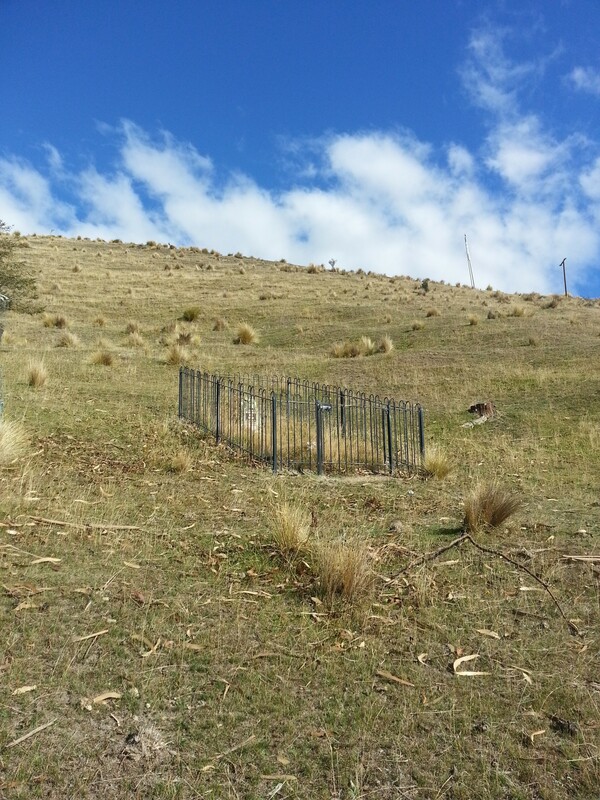 Above this tribute is the lone grave site of Don Graham, who was buried here in 2006 after a lengthy permission process to allow him to be laid to rest on the land his family had occupied for the past 105 years. 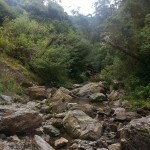 Heading deeper into the ravine, we passed a small group of buildings and reached the railway track. 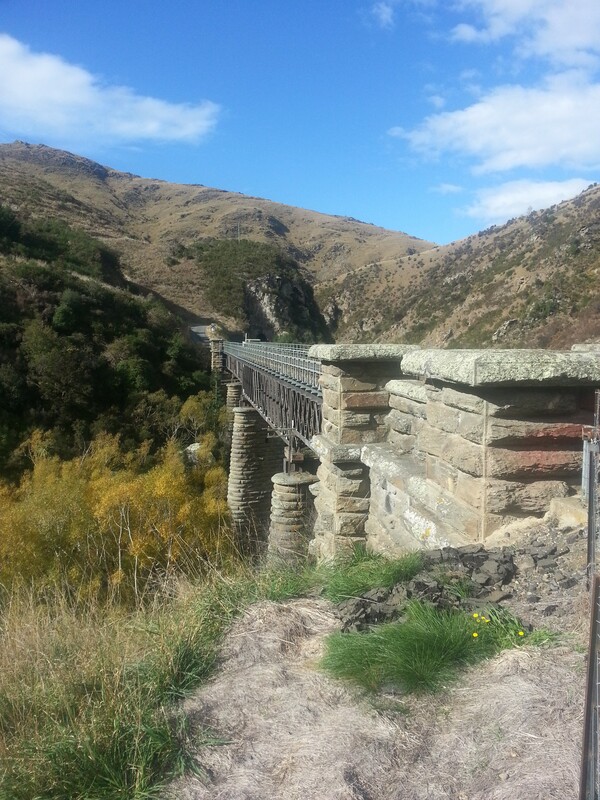 Here vehicles share a rare road-rail bridge with the Taieri Gorge trains. I nervously drove over the bridge, imagining all the while that a train might suddenly appear to flatten me. Of course, my fear is pretty unfounded. As far as I can find, there was only ever one train accident around here, and it was a collision between two trains in 1902. Due to the train to Dunedin running late, the train leaving Dunedin was given the unusual order to cross it at Hindon. But evidently there was some misunderstanding and the driver (known as “Buggering Jack” for his foul mouth) did not wait at Hindon station for the down train to pass, and collided with it about 450m up the track. Luckily none of the carriages were flung into the river and despite great carnage nobody was killed. We made it safely across the bridge and headed around to park on the river flat opposite the tiny Hindon Station. Hindon Station is pretty quiet these days, although the Taieri Gorge train does stop here to allow passengers a quick look at this hidden little paradise. There was once a refreshment room here run by Mary Anne Gridgeman who was widowed prior to 1898 and supported her family with the business. With all the workmen and gold miners passing through things could occasionally get a bit rowdy, and in 1915 a brawl between three Irish labourers destroyed 25 cups and saucers, two sugar basins, a jug, 25 sandwiches, one bag of sugar, and Mary Ann’s hat. The refreshment rooms closed in 1949 when they were burned down. And now it was time for the serious business of catching some fish. 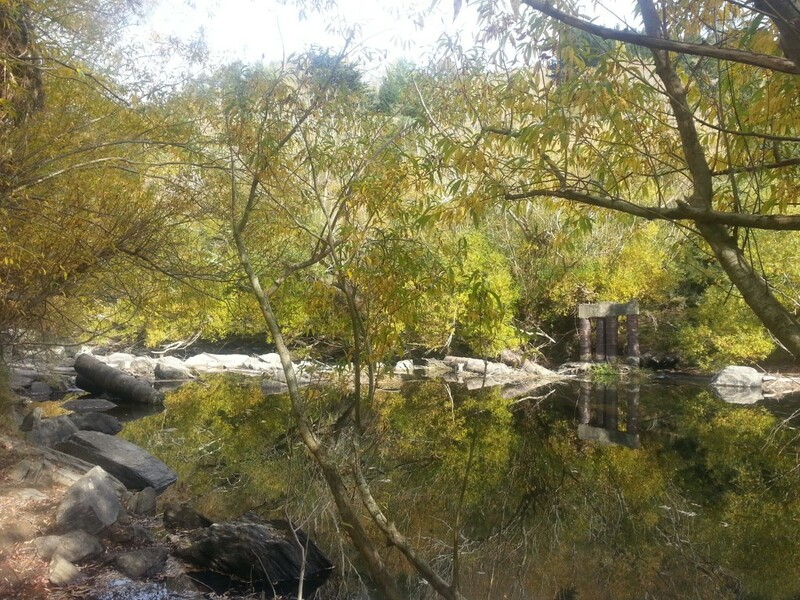 I headed into the trees at the waters edge, spectacular in shades of autumn yellow and reflected in the calm water. I found a nice pool near the some old bridge supports. I guess that these are the remains of the bridge in this picture, which must have been removed some time after 1980. With the pillar-like appearance of the remaining supports, I could almost believe I was fishing in Rivendell. Downriver I found another deep calm pool, and attracted the notice of several trout, including one large but ultimately too clever fish which darted back into the depths. After an hour of pleasant but unsuccessful angling, I returned to my trusty Canyonero. But what’s this? It won’t start? I jiggled the steering wheel, wobbled the gear stick, and popped the hood to confirm that the engine was still present, all to no avail. There was no cell reception in the depths of the gorge, so there was no option but to start the onerous walk back up the road. We crossed the historic bridge, again avoiding any marauding locomotives, and headed up the hill, knocking on every door we passed. But nobody was home in Hindon! Half way up the valley wall we finally encountered our first fellow humans. We managed to flag down the two brothers and explain the sorry mess we had got ourselves into. Luckily one of them was a local and kept a jump lead at his place. We were saved! I even managed to turn the situation into a gain when it turned out our new best friend lived in the old Hindon Railway Schoolhouse. He kindly allowed me to take a picture of the place, complete with spiffy new paint job. It was here that Mary Ann Gridgeman threw a party to celebrate the 21st birthday of her youngest daughter Jessie, complete with dancing, songs, toasts and supper in a nearby marquee. I felt like giving a toast myself as the Canyonero roared to life. We made our way out of the gorge as quickly as we dared, and didn’t stop (not even for ice cream!) until we were safely home again. Excellent reading very informative esp the history of the names from the cemetery gravestones. Hi, great reading here, I am a descendant of Mary Anne Gridgeman, her being my great great grand mother, my wife and I visited Hindon a couple of days ago first time for years, last time being with my grandmother Mary Milnes- nee Forde, probably around 1980. at the time I found a piece of a piece of a broken saucer (which I still have) with ” Refreshment Rooms Hindon” wonder if it was broken in the brawl? What a neat find! Perhaps it was! I particularly like the photo of the road/rail bridge. Most of my family are Invercargill born, my father Ivan Clifford O’Keefe joined the NZ and took a posting to Hindon while us children were preschool age. 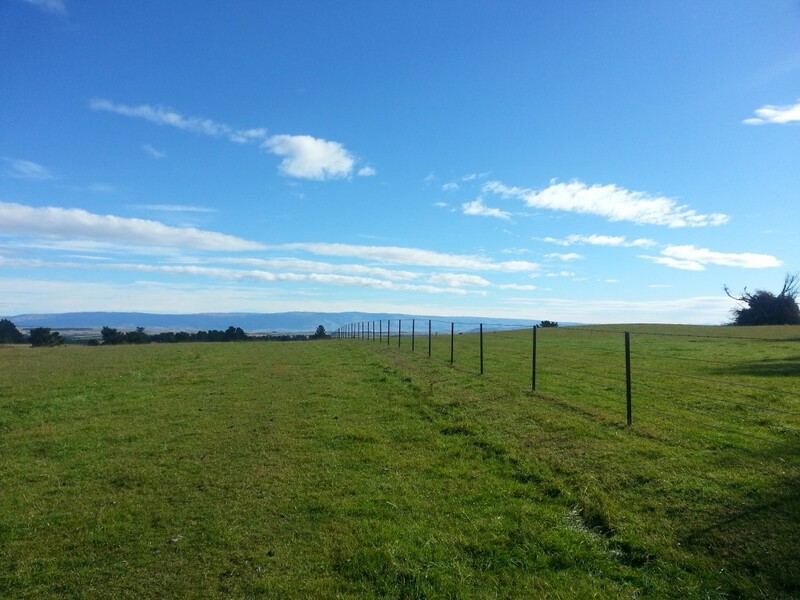 We lived there for a relatively short period before Dad then transferred to Newmarket, Auckland. I clearly recall the 2 tiny huts on rails that was our accomodation and the self propelled jigger / trolley that was at our disposal. I’ve got some memory of a stony river bank in the area, but not much else. 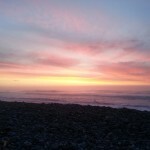 I live in Australia now, I return to Southland quite frequently and I’m quite keen to return to Hindon one day and learn more about the area. Further to my recent comment, Re my father Ivan O’Keefe joining the NZR and being posted to Hindon, this would have been around 1953/4. He subsequently transferred to Newmarket, Auckland and we lived in the Rainville Road railway settlement, which no longer exists, near Newmarket Railway Station. An awesome account of a great adventure: would make a great travelogue of information. What an insight to the times lived in the so called “wop-wops”! Intriguing history of the harshness of living conditions but also touches of humour. 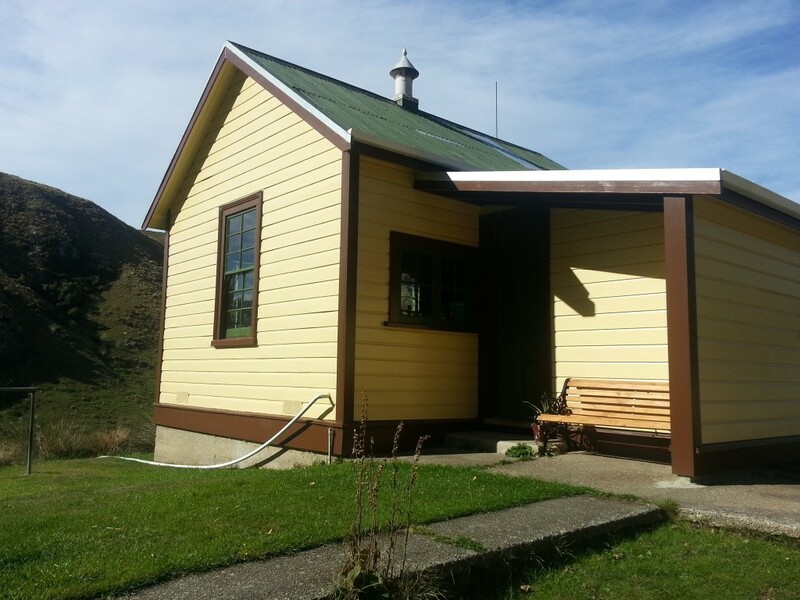 It brought back memories of the mayhem of rushing for refreshments at the Hindon Station on the many railcar and before that the steam engines’ era on the Taieri gorge line to Otago Central. Finally, a great piece of writing in graphic detail. More strandings please! Thanks for the comment! I’m sure this won’t be the last time I end up stranded somewhere!